The character designs look horrible. I'll never understand why they insist on giving female characters such sharp proportions I can cut my dinner with. It looks like the developer is going for a fun Nancy Drew-like mystery, but at least Nancy Drew was cute and charming to look at. 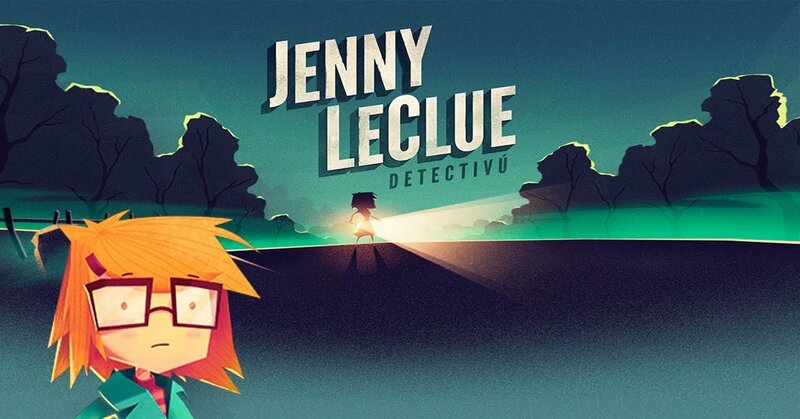 Mografi wrote: Jenny LeClue is a story focused exploration adventure game with memorable characters, a unique aesthetic, and an epic tangled mystery. Jenny is a brilliant young detective, but nothing exciting happens in her small town of Arthurton, and she longs for real adventure. She gets more than she bargains for, when her mother is accused of murder. Jenny takes on the case of a lifetime and begins an unexpected, dangerous journey to uncover the truth. It’s also a coming-of-age meta-narrative about the blurred lines between right and wrong.